Share your form through a HTML link wherever you want. Another way of collecting responses is sharing your form through a HTML link. 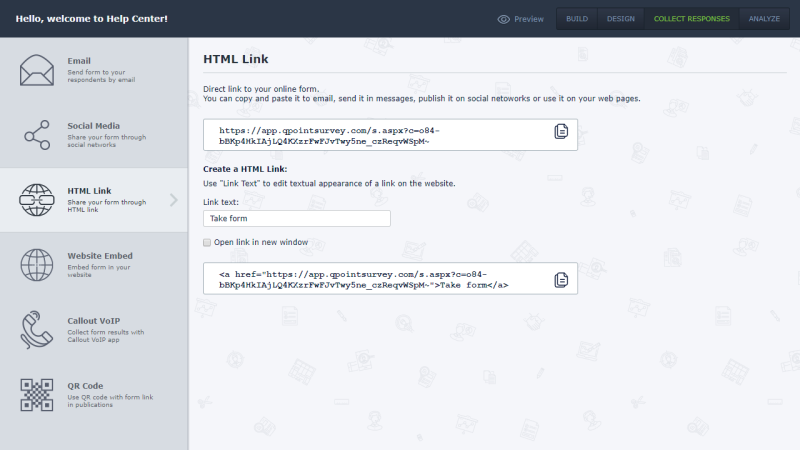 You can share HTML link wherever you want - websites, social networks, blogs, emails, messages and more. You can choose direct link to your online form or Create custom HTML link with link text you prefer.